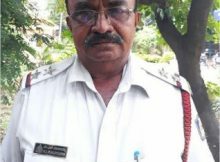 A brave traffic police sub-inspector, ML Nijalingappa, who was deployed to the busy Bengaluru’s Trinity Circle on Saturday won the heart of many when he stopped the convoy of the President of India to make way for an ambulance. 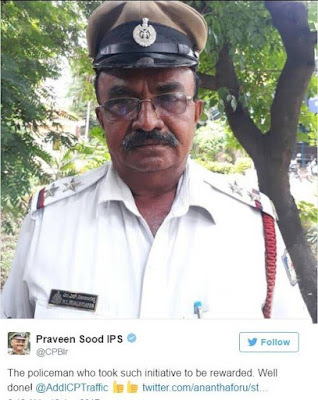 The convoy was leading President Pranab Mukherjee to the inauguration of Metro’s Green Line in the City when the sub-inspector directed his colleagues to help the ambulance make its way towards a private hospital near HAL through the traffic-heavy road. According to an ANI report, the Bengaluru Police later announced a reward for the policeman for making way for an ambulance during the convoy movement of President Pranab Mukherjee.